Our second Bike to Market Day is on Wednesday! And there's tons going on at Druid Hill Park that evening — including live music, guided bike rides, yoga and a movie — so grab your bike lights, your basket and make a night out of it! 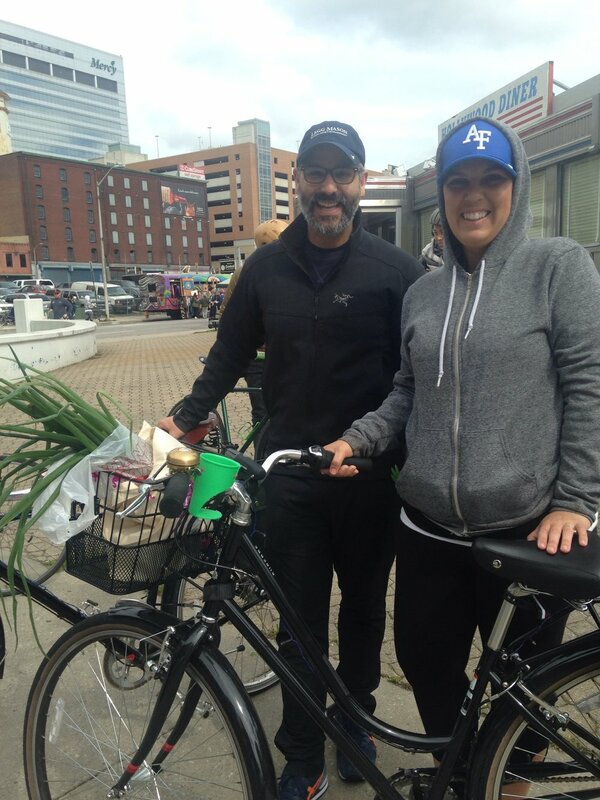 Bike to Market is a partnership with the Maryland Farmer's Market Association, encouraging you to ride to a variety of markets, and mixing two important aspects of a thriving sustainable city: sustainable transportation and local fresh food. At the market we'll provide free bike valet so you can safely and easily leave your bike while you shop, and have giveaways and a raffle for anyone who rides! We'll also be there to answer your questions, and talk all thinking biking in Baltimore! How do I get to Druid Hill Park? There are a number of wide, fast roads surrounding the park (we're working on improving this — check out our Big Jump project! ), so it's important to plan your route. Here are a few of our favorite ways to get there from various directions. Stick around and enjoy Druid Hill Park! There are tons of fun things happening at Druid Hill Park that night, so stick around! Join Baltimore City Recreation and Parks Outdoor Recreation for guided, 7 mile, mostly flat bike ride around Druid Hill Park. Rides are at 5:15pm and 7:15pm and bikes are provided. $10 suggested donation. Registration is recommended BCRP.Bikes@baltimorecity.gov for more info. Join the Baltimore Yoga Village and the Friends of Druid Hill Park for free yoga from 5:30pm-6:30pm! All levels welcome. Bring your own mat or blanket. Bring your chairs and blankets to watch Hidden Figures, the incredible untold story of Katherine G. Johnson, Dorothy Vaughan and Mary Jackson - brilliant African-American women working at NASA. Movies begins at Dusk. See a full list of market happenings here. Try to pick routes that are well lit and likely to be more populated. Be extra cautious in looking out for potholes and debris in the road — they're even more difficult to see at night. Be sure to have bright lights. A white light on the front and a red light for the back, like a car has, makes it easier for people to understand which direction you're headed. Bike to Market mixes two important aspects of a thriving sustainable city: sustainable transportation and local fresh food. This spring and summer we're partnering with the Maryland Farmer's Market Association to make it easier than ever to ride your bike to the market — demonstrating the ease of doing daily activities on bike, the value of supporting local growers, and of course, the joy you can have doing it! We'll have three Bike to Market events, each at a different farmers markets. At each we'll provide free bike valet so you can safely and easily leave your bike while you shop, and have giveaways and a raffle for anyone who rides. And we'll be sharing our favorite tips and ideas along the way! The Baltimore Farmers’ Market and Bazaar is the city’s vibrant hub for a truly local and supportive experience. Drawing crowds in the thousands, bringing together vendors and customers from all over the state, launching small businesses, and providing good local food for the community, all make for an amazing Sunday morning in Downtown Baltimore. And if you're coming from the North, a group ride to the market will be leaving from Charmington's at 9:30am! Perfect for folks newer to city riding or those just interested in traveling as a pack, and no need to RSVP — just show up! How do I carry groceries on my bike? The best set up for carrying groceries depends on your bike, how far your riding, how much you're carrying, and personal preference. 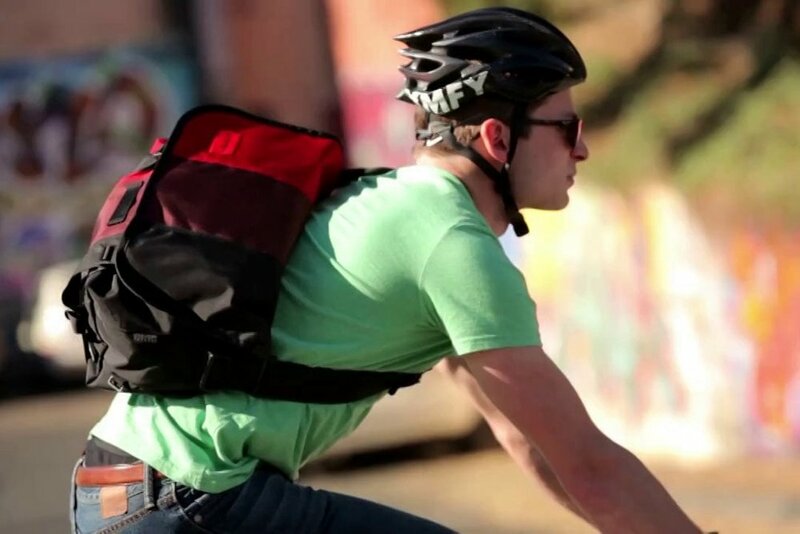 Here are a few of our favorite tips and trips for carrying groceries on our bikes. Messenger bags and backpacks, that one you probably already have in your closet, work well for short trips and smaller loads. Bungee chords or a net can help make sure you don't lose any veggies if you hit a bump in the road. Panniers and rear racks are great for larger and heavier loads, and for those times you get caught in the rain. You can use front baskets with or without a front rack, depending on what kind of basket it is, and they're perfect for carrying small loads. Baskets that attach to a back rack are the perfect size for reusable grocery bags, and they usually fold down so you can always keep them on your bike.